By default your event invoices and confirmations will be emailed using your name and email address. 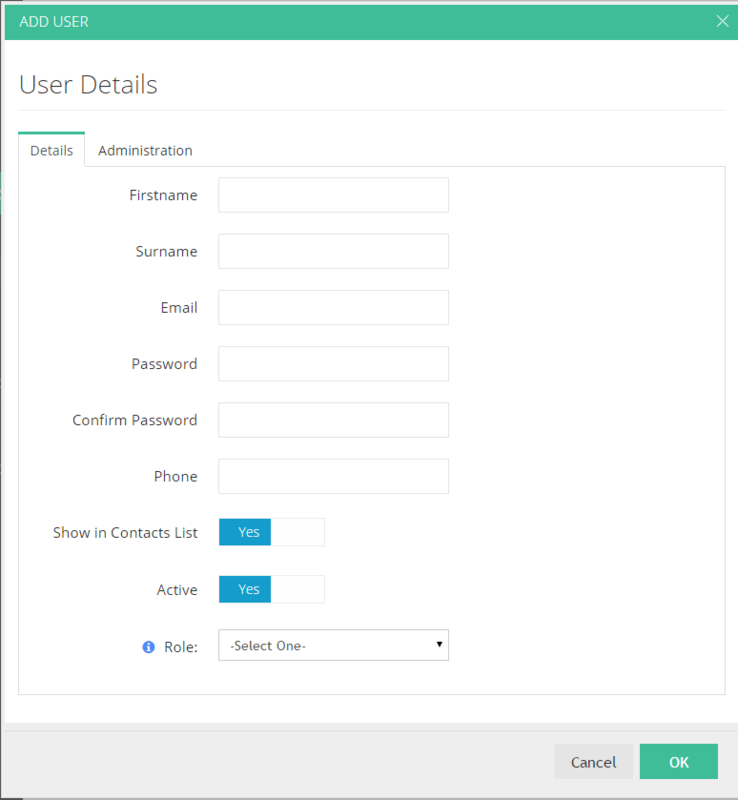 If you have multiple users (see features) you can configure different contacts to be used for each event. 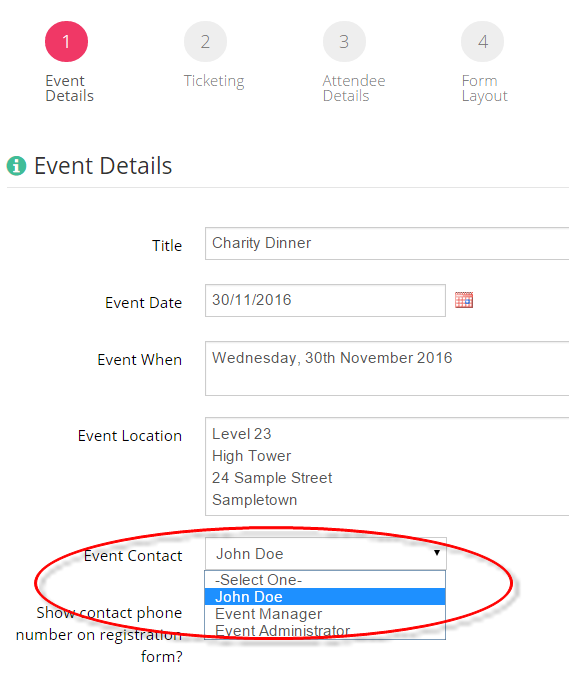 For the user to be selectable as a contact for the event the “Show in Contacts List” needs to be switched to “Yes”.